Have you ever wondered about having a cool username? 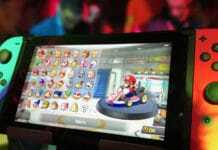 Be it for any gaming activity, or cool social media handles, in this world of technology, it becomes quite boring to use regular names. 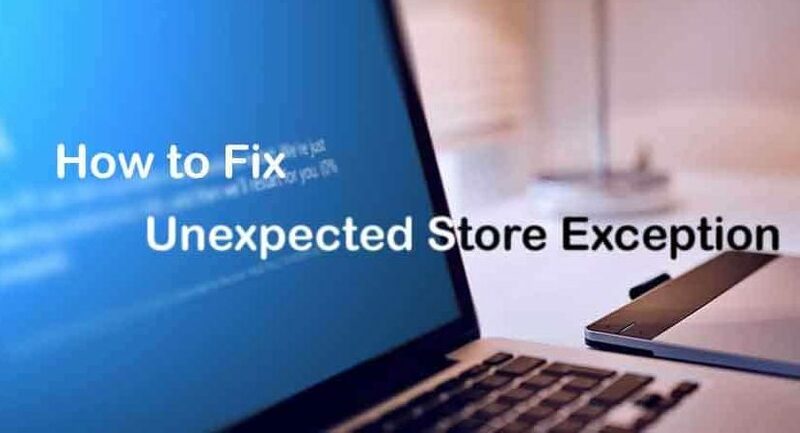 But the main problem lies in the fact that most of the time we are not able to come out with a kickass and cool name, especially when there are billions of users surfing the internet. Thankfully some username generator websites do the task for us. 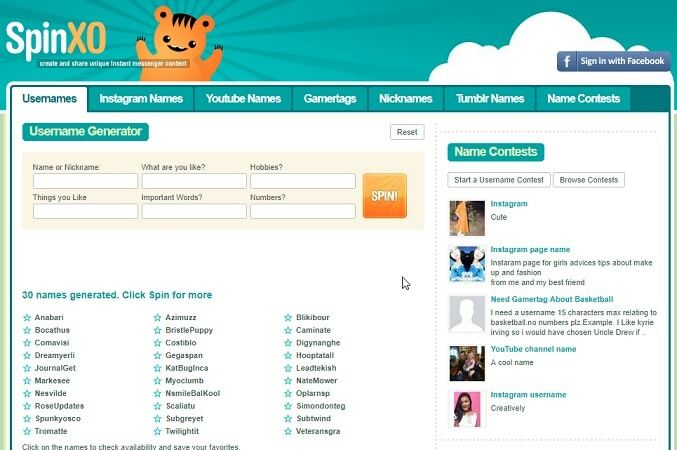 This article presents the 10 good username generator websites. 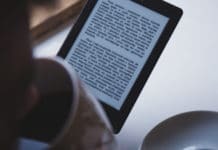 This website comes in the list of favorites for users out there. Jimpix is the first choice of maximum users across the Globe. It just uses a random word or name which describes our Personality, individuality or your particular taste in some specific areas. It gives you a good range of names. Jimpix is a user-friendly platform and straightforward interface. This website provides additional amenities such as names for specific social media platforms and one-word username. 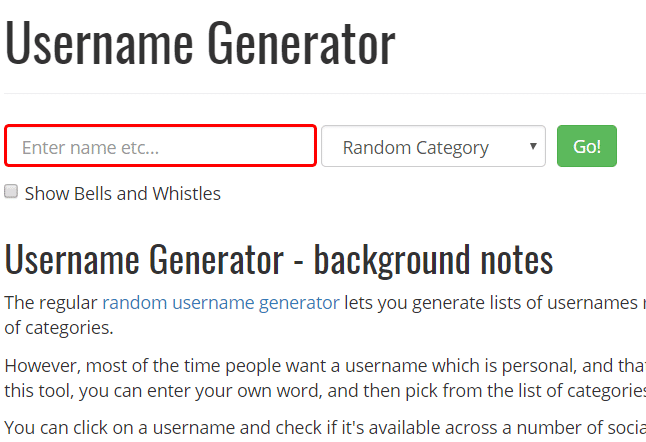 As the name suggests, Best Username Generator is an excellent website for creating a random username. But its interface confuses the users. Still, it has proven to be the good username generator. 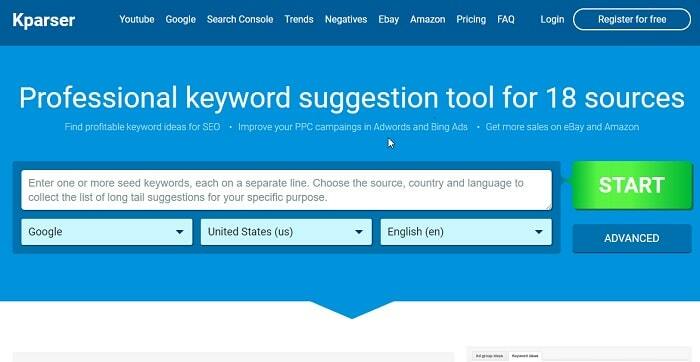 The site offers other significant and cool tools for social media platforms such as Instagram name generator, Snapchat usernames and much more. It provides a wide range of options for creating a username. 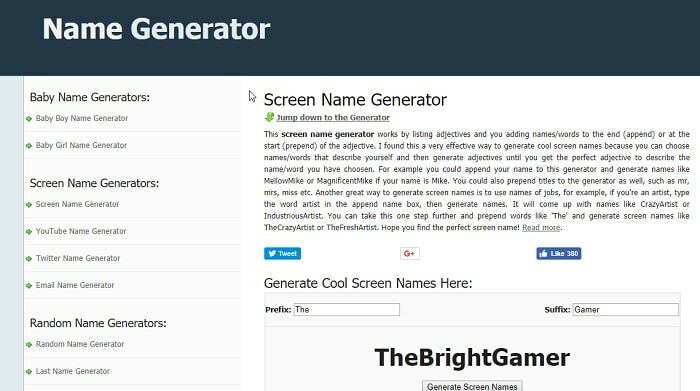 Best username generator is very popular among the Gamers, as it gives some kickass usernames. SpinXO is a very reliable website which gives you username based on the information you provide. It takes into account your name, nickname, hobbies and other stuff. And after that gives you the option of choosing the username among the given options. It also provides very user-friendly tools such as gamer-tags. 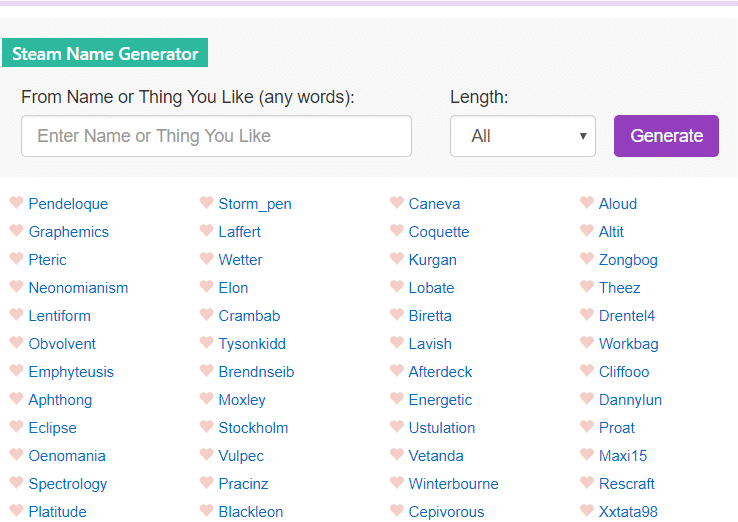 The Screen name generator works by taking into account the adjectives you choose, to generate a very reliable username of your interest. The best part of this website is that you can choose your username and then modify it by selecting the adjectives, to form a cooler username for your social media handle. It is also possible to add titles like Mr., Mrs. to give a more professional look to your name. 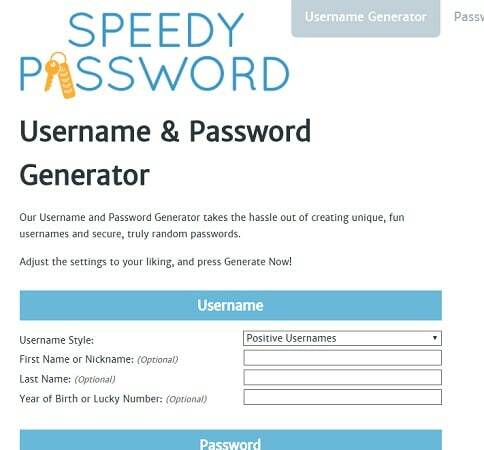 Speedy Password is a different username generator websites. It not only generates a username based on your interest but also creates a secure password for this specific username. This is a perfect good username generator website. Besides its security, it also provides the option to customize the username using the various characters, numeric values, symbols, etc. The above features enable a very user-friendly interface for smooth functioning. Rum & Monkey is especially useful for the gamers. Nowadays gamers find it quite challenging to get a kickass username for their handles. Some of them are quite common. Rum & Monkey fulfill this purpose. It provides a wide range of fresh usernames. Rum & Monkey provides the option of choosing from over 5000+ names. It also creates usernames from various genres such as Minion Game generator, Korean game generator, Monster game generator, etc. This is considered an excellent username generator website. 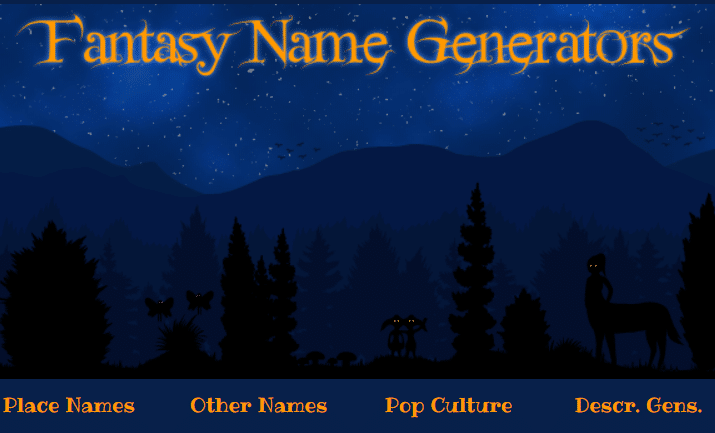 Fantasy Name Generator is yet another excellent username Generator website, which allows you to choose a different username for purposes such as Gaming and other activities meant for a Social Media platform. This site generates about 10 usernames at once, from where you can choose your username based on your liking. This limited number of options are provided because, this website prevents the generation of thrash usernames such as” Warlord,” or” xxxLegoxx” for some obvious reasons. This site offers some new and humorous usernames which are well liked by the audience. 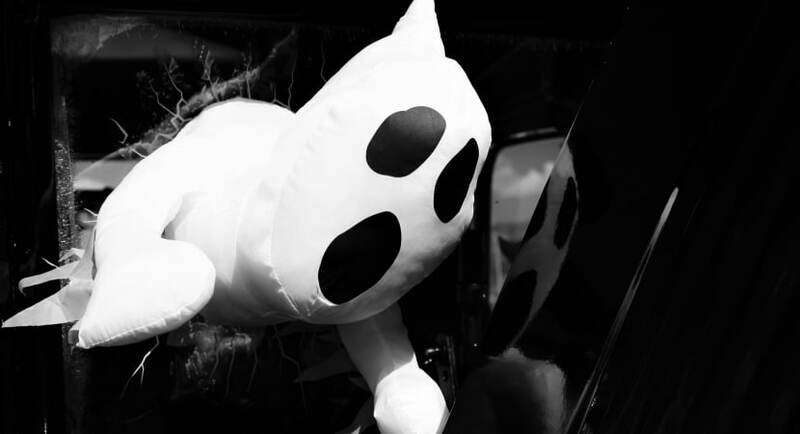 Genr8 is exclusively for gaming purpose. 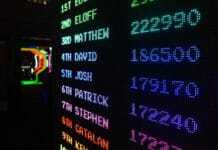 It helps to create hundreds of username, which enables the Gamers to choose from a variety of options. 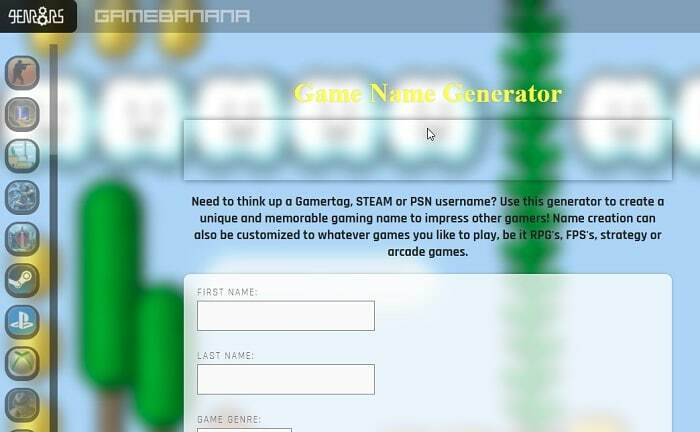 Be it PSN username or Gamertag; this website has the best username generator for this purpose. 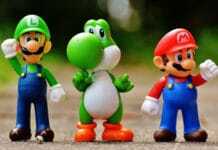 Moreover, this site enables the users to customize the generated username for various games such as Arcade games, Strategy, Combat, Action, RPG, RTS, Adventure or FPS games. This website is counted as one of the best username Generator Websites, because of its ability to create a memorable and kickass username. Kparser name generator website is dedicated to the YouTubers. 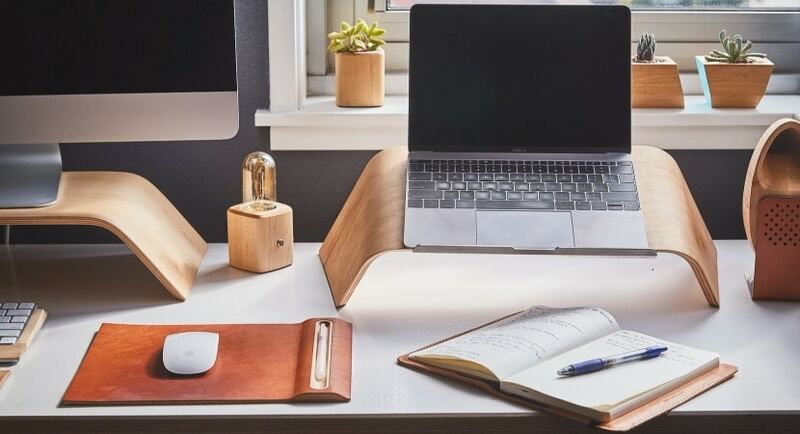 It is essential to sound very good and professional for a YouTuber, especially with the growing number of YouTube channels. Thus it is indispensable to create a unique brand name, in the YouTube community. This website helps to generate a very cool and professional username for a YouTube channel. It is considered one of the best username generators for a YouTube channel to give it a unique and Professional tag. 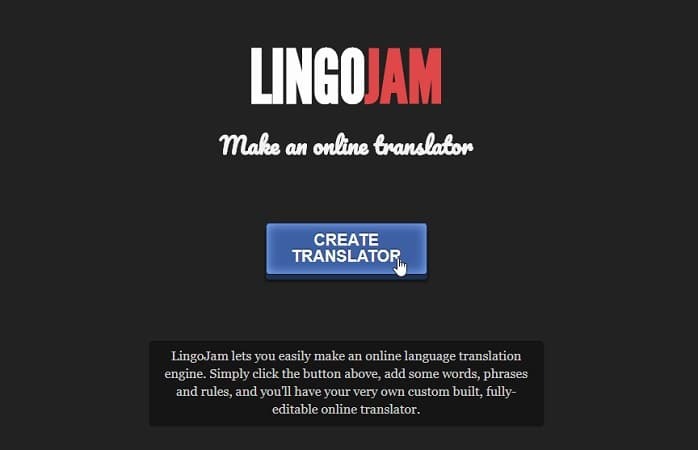 LingoJam is yet another website to create good username Generator. 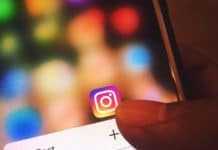 This site is dedicated mainly to the all the Instagram users. Some websites often provide username of same structure twice. This is not the case for this website. The site offers various username which can be chosen by the user based on his/her preference. 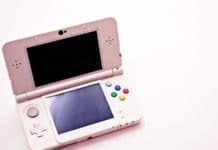 It consists of a seed word, which could be the actual name of the user after which the website provides hundreds of ideas for the username, about one-fifth of which consist of the seed word. This site offers unique and cool usernames, which enables the user to sound cool in the online community. The username generator websites are becoming a new trend these days. Especially in the age of the Internet, where most of the people like to sound cool. The username generator is undoubtedly an asset.